Do you want a voiceover artist who can instil confidence and trust? One who can instantly put the listener at ease with her warmth and genuine tone? Someone who can move from being cheeky to serious in a heartbeat? Then Deb is the one for you. Known for her natural, earthy tones Deb is the perfect choice for your real person voiceover, moving easily from the smooth and sensuous to the wise and grounded sensibilities. Her inner smile shines through her voiceovers and her positive, professional attitude will keep you asking her back time and again. As a professionally trained actor Deb loves playing with characters and loves to bring to life children�s stories. 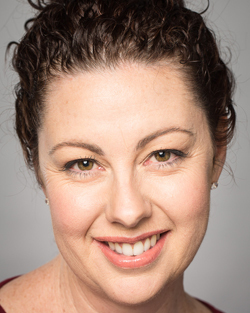 Deb�s recent voiceovers include Swish Bathrooms and Kitchens (AU), Suncorp (AU) and Dunsteef Audio Fiction Magazine (USA). General Compilation (2min, 20sec / 2.2Mb) Your browser does not support the audio element.